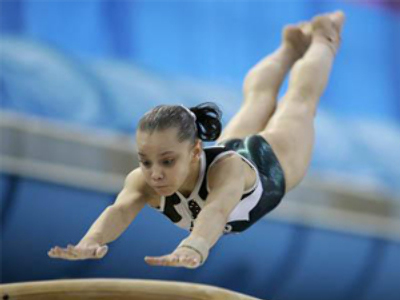 Russian wunderkind Anna Dementieva has claimed the women's all-around gold at the European gymnastics championships held in Berlin. The Russian grabbed her first major title with a winning tally of 57,475 points for the six disciplines ahead of Germany’s Elisabeth Seitz (56,700 pts) and Romania’s Elena Racea (56,600). Seitz won the hosts' second medal of the day after Germany's Philipp Boy had won the men's all-around title earlier in the evening. Meanwhile, for the Russian fans it was indeed a very controversial event. 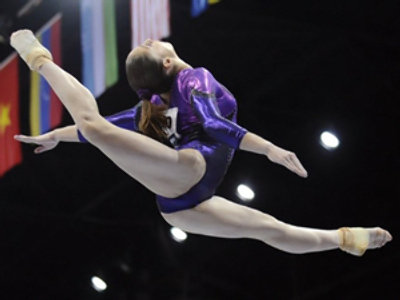 After the fourth discipline, all-around favorite Russia’s Aliya Mustafina injured her left knee during the vault and was forced out of the competition. The 2010 world champion was taken to the hospital, but her withdrawal paved the way for her compatriot Dementieva to shine.